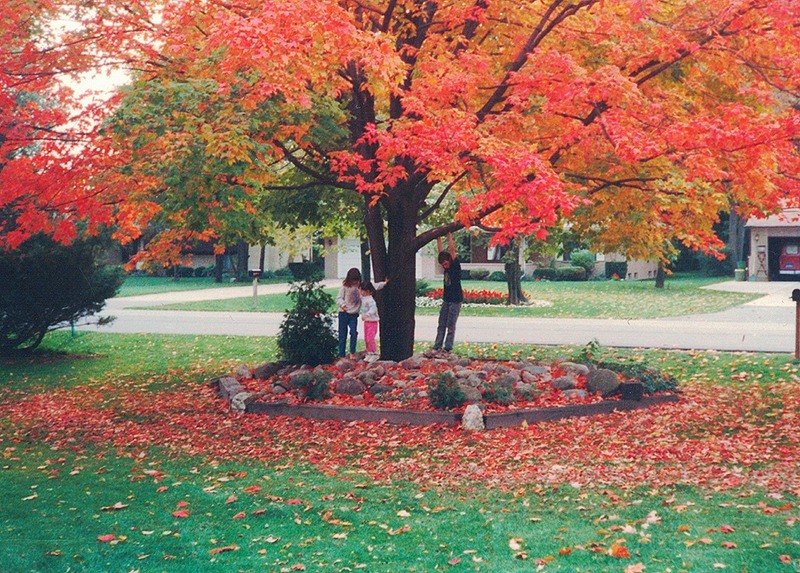 There are my three children, way back when, enjoying the canopy of our long gone maple tree. The Giving Tree. Digging through old boxes, looking for Halloween photos. A daunting task. But I did find a few. 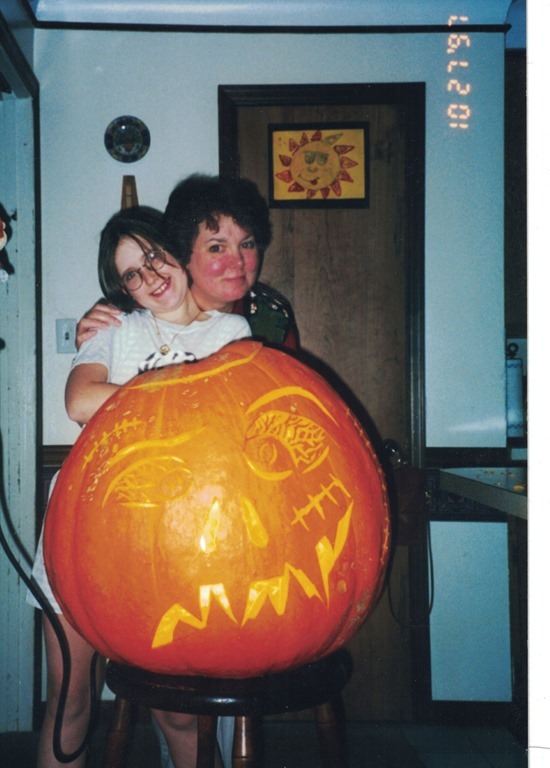 Here we are a few years later, posing with a big, bad pumpkin. This was a tradition. First hunting for the biggest pumpkin, and then drawing designs and finally carving. 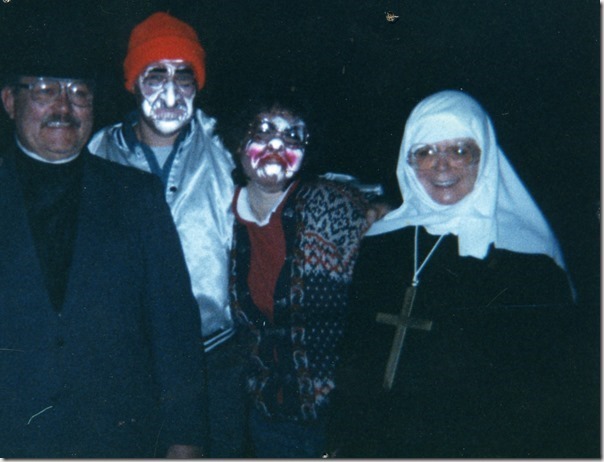 Here we go back far, late 80’s (I wonder who was babysitting) with my mom and dad, Jeff and I. Saints and Creeps! 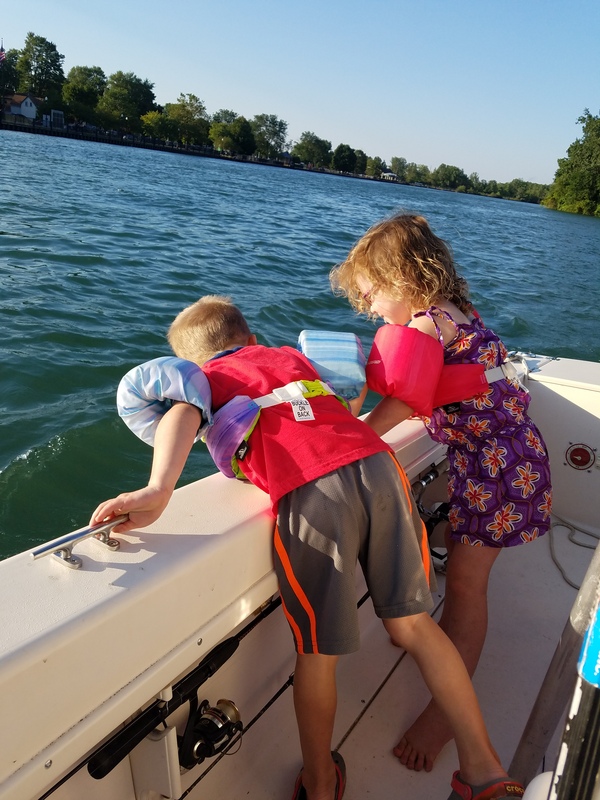 This year, we attended a couple fun evening events with the Littles. Do you think I would remember to take photos? Right. 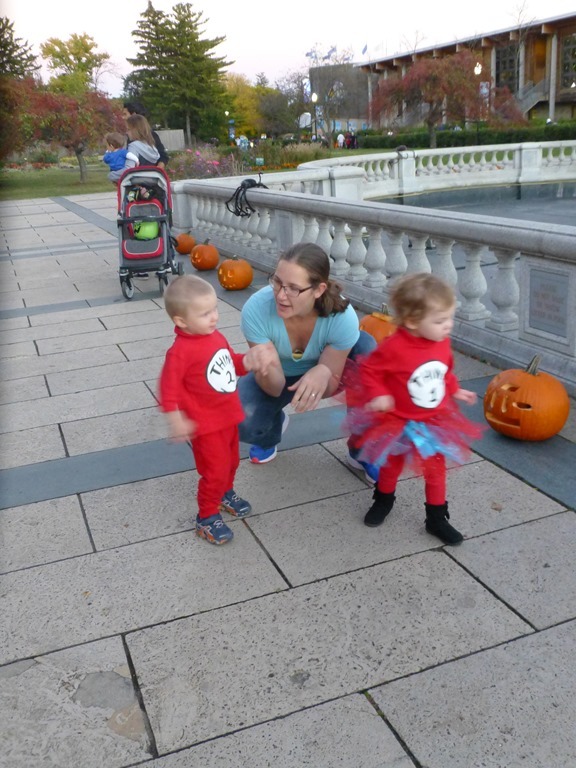 But I did remember when we went to ZooBoo, at the Detroit Zoo. 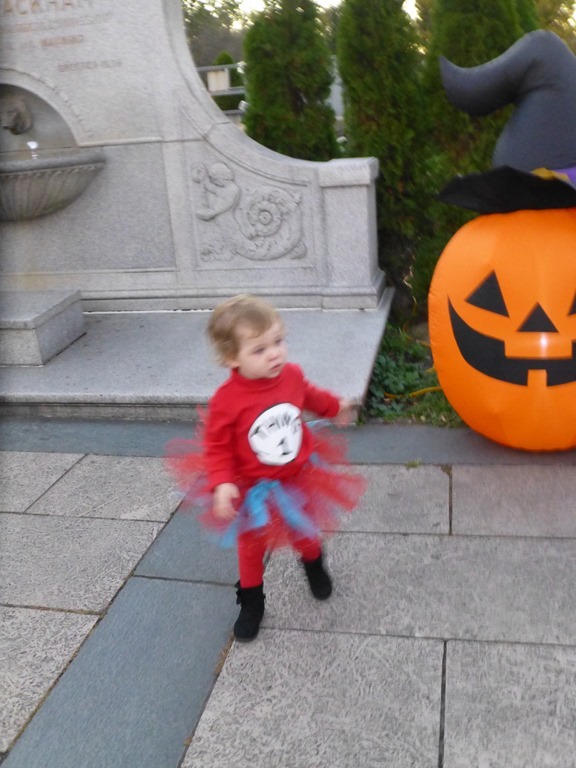 Thing1 and Thing2 move at the speed of light…one is always a blur…..
I’m hopeful for a great photo with the whole bunch on Halloween. 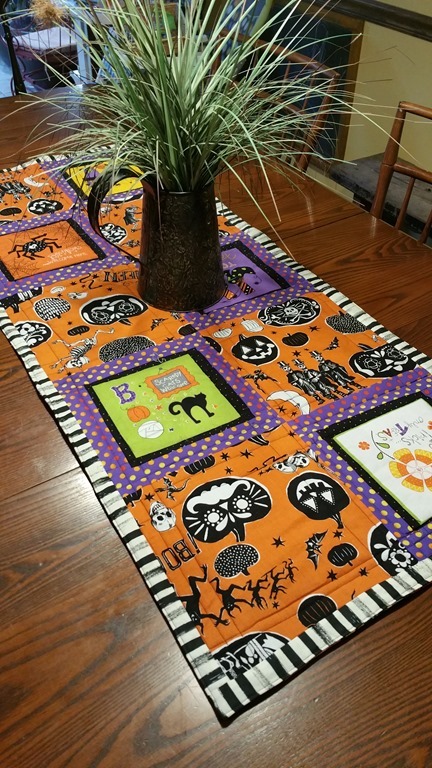 One year, when my oldest grandson was 4 or 5 years old, he asked me where all my Halloween decorations were. 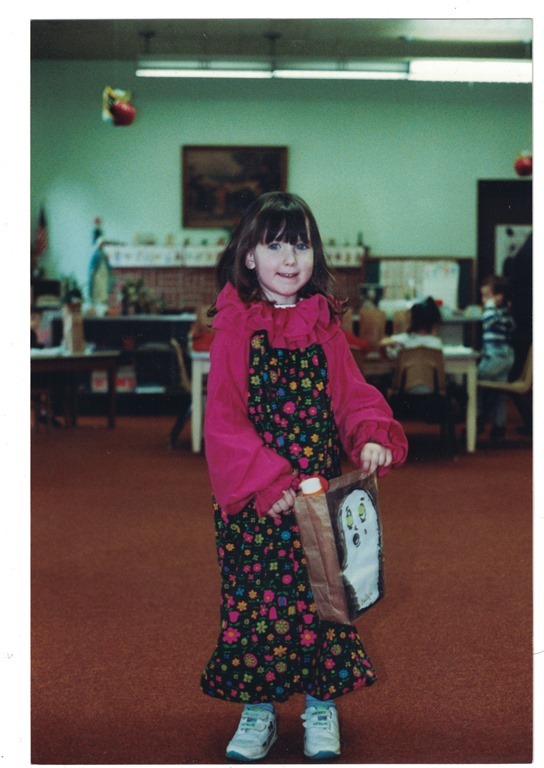 From then on out, I decided I would not be Grandma Grinch. I try to decorate for the seasons and holidays. Adding to the fun and slight scary aura of Halloween, I made a couple things for our home and to capture little peoples imagination. 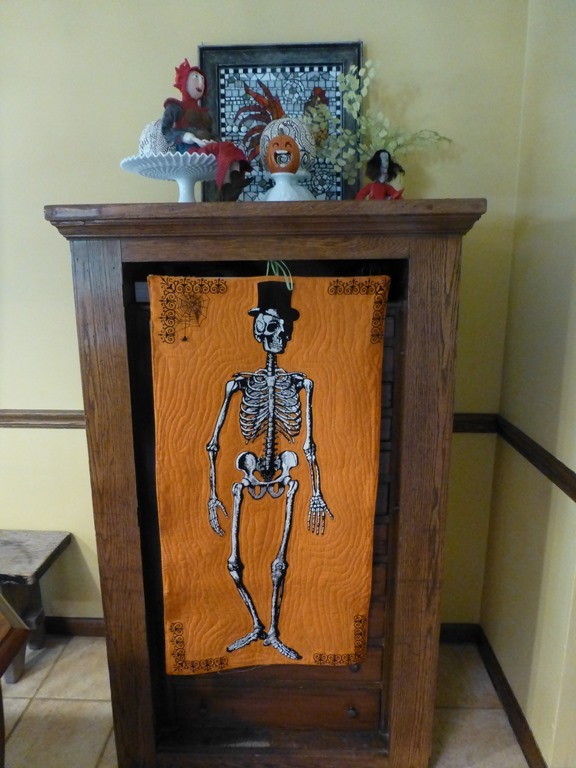 Mr Chillingsworth is a fabric panel, and I love how he fits right in the cabinet. The top of the cabinet is a little collection from over the years…my shrine to All Hallows Eve. 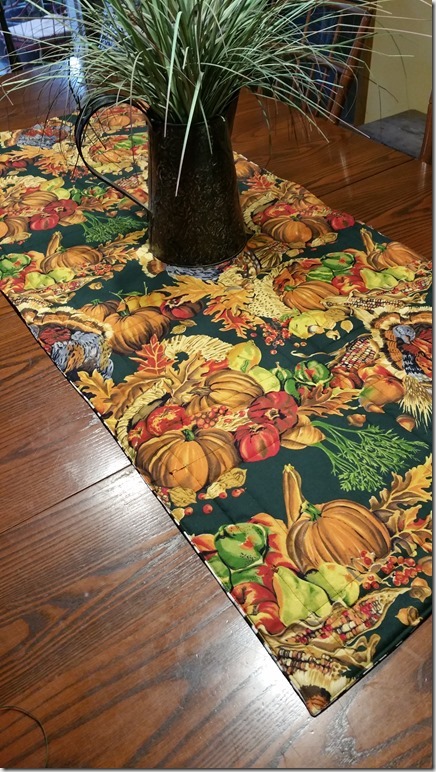 I also made a table runner. My friends shared their fun fabrics with me. Thank you Gail and Julie, I could not have planned it better. And looking at the back, Gail’s fabric has me ready for the next holiday! 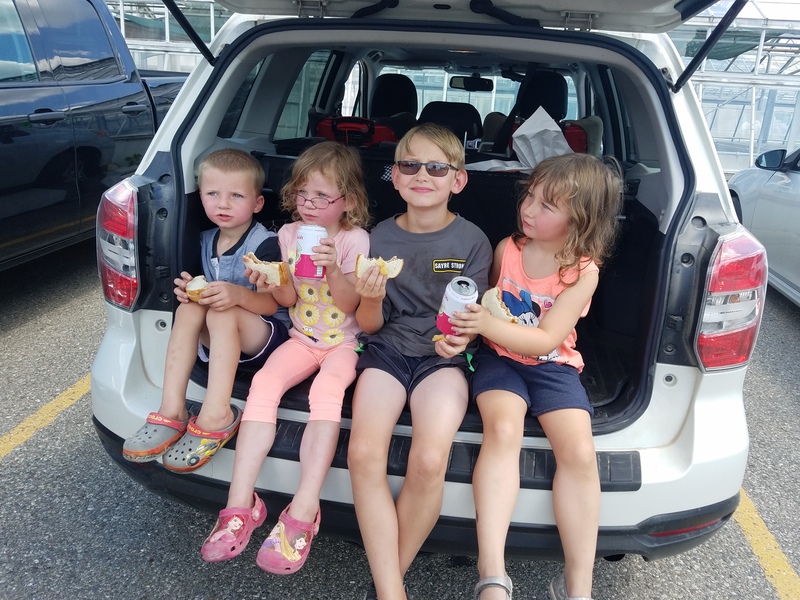 Judging from the reactions of my grandchildren, my efforts added a bit of intrigue to the season. 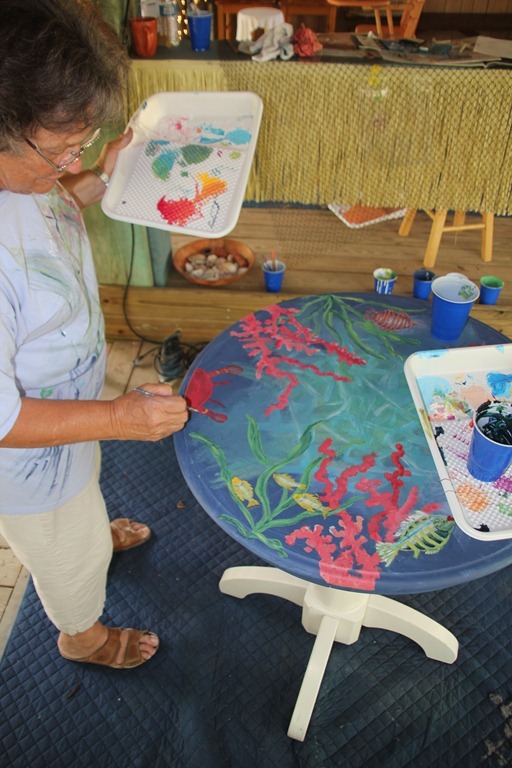 Painting day on the island…. 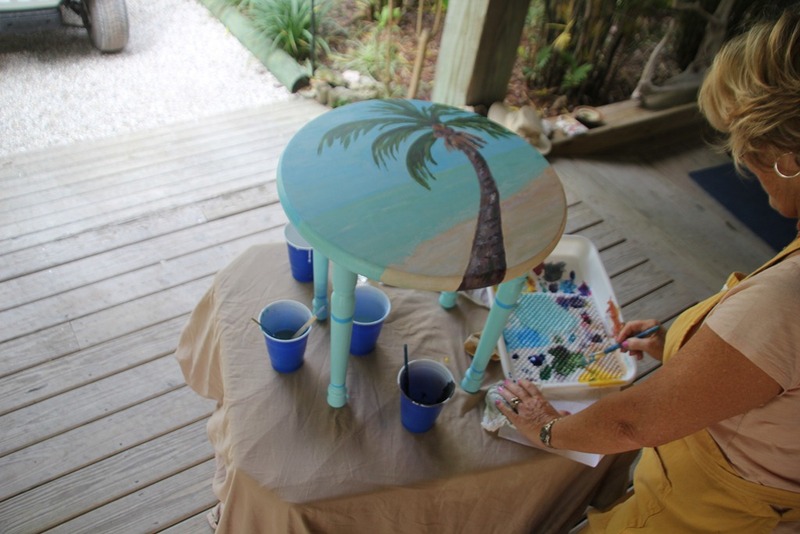 On the last day were on North Captiva, Patrice arranged for Marie Dyer to teach a class on furniture painting. There were 4 of us, plus Marie. 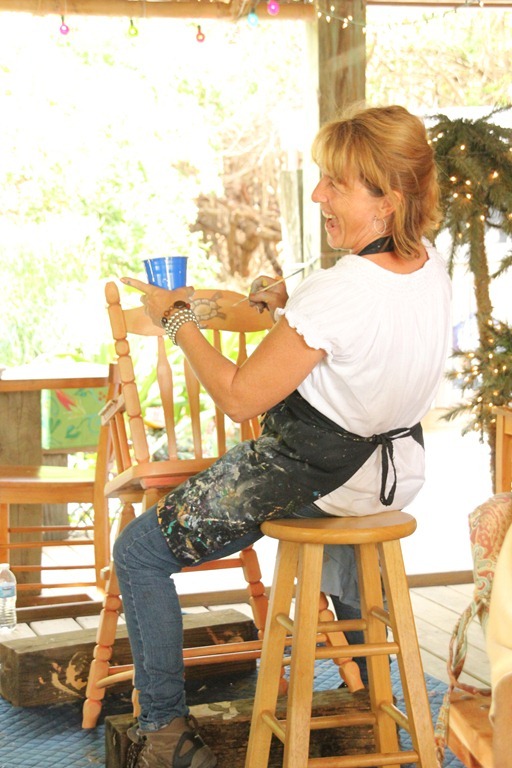 Marie was a fantastic teach, and a lot of fun…. 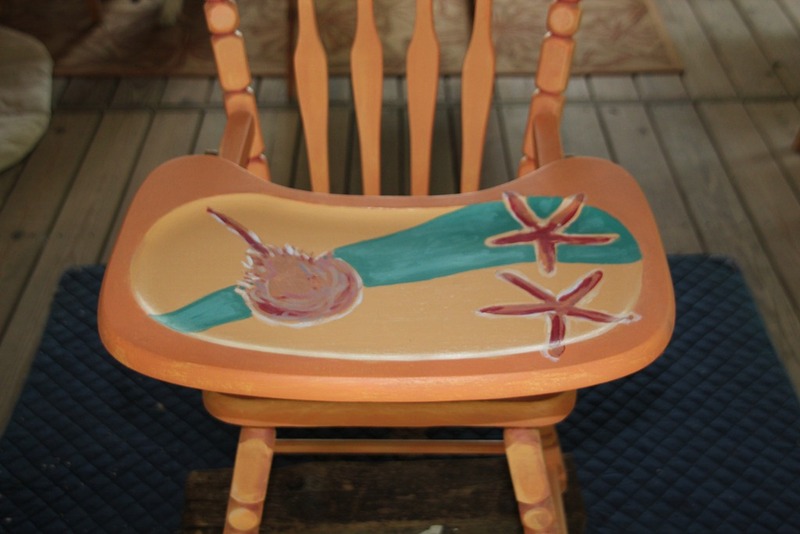 Ann’s coral table, and Joan’s palm on the beach…. 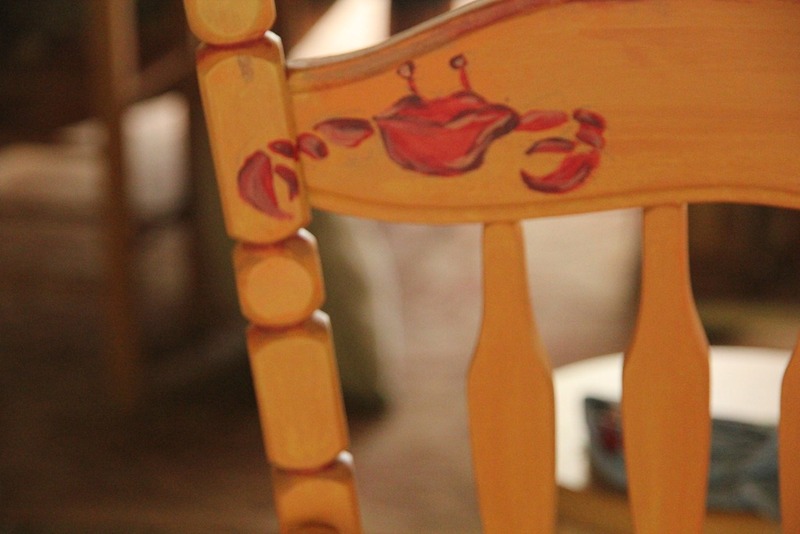 The start of Patrice’s high chair project….. Detail photo…can you see the birds???? I learned how to mix colors….at first I was quite stumped on how to get the color of sand from red, yellow and blue…and white. 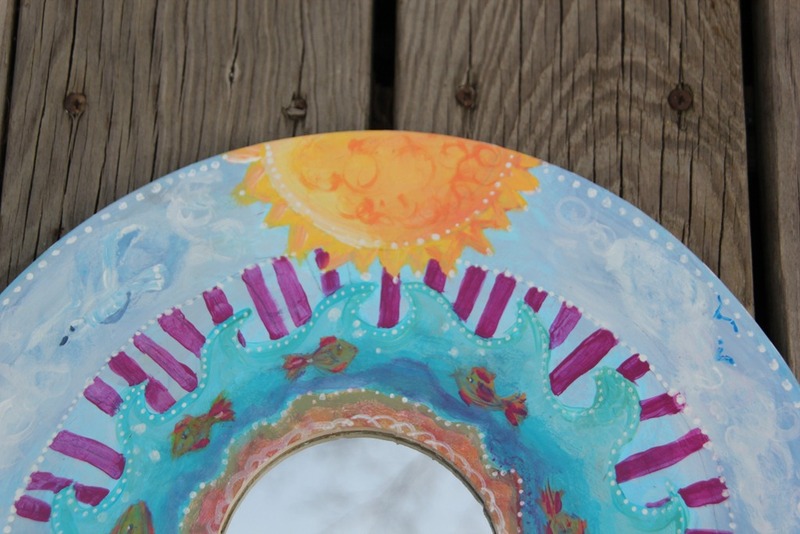 But by applying the lessons of the color wheel I became more comfortable with mixing colors. I also learned to appreciate the difference between drawing and painting. My first attempt at the fish were from a drawing point of view. I learned what it means to “be painterly”. Also, Marie taught me about shading with paint, connecting lights and darks…light and shadow. Such fun, and I was happily surprised with my whimsical creation. 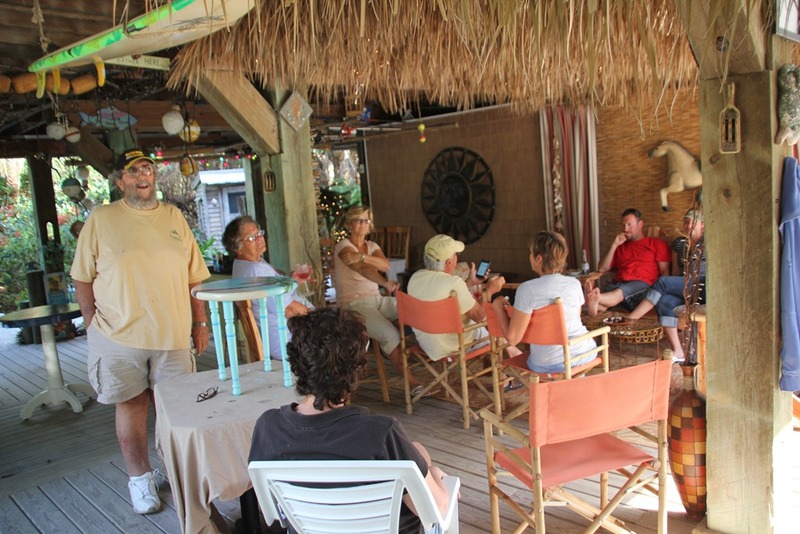 And afterwards, of course, we had to have a little refreshment and lots of laughs to celebrate our accomplishments…. What a year of making it has been. The brooches really helped the count add up, with mosaics in second place, and stitched textiles way behind. I want to thank everyone who has watched the year’s counting up, and offered their encouragement. Counting up has definitely played an important role in keeping me going, helped me finish things up when I really wanted to just start something new, and motivated me to make things I am happy to “blob” about. So here we go, the count up of 2011…..
Kelly, Lisa and Laurie were here for a day of mosaic making. 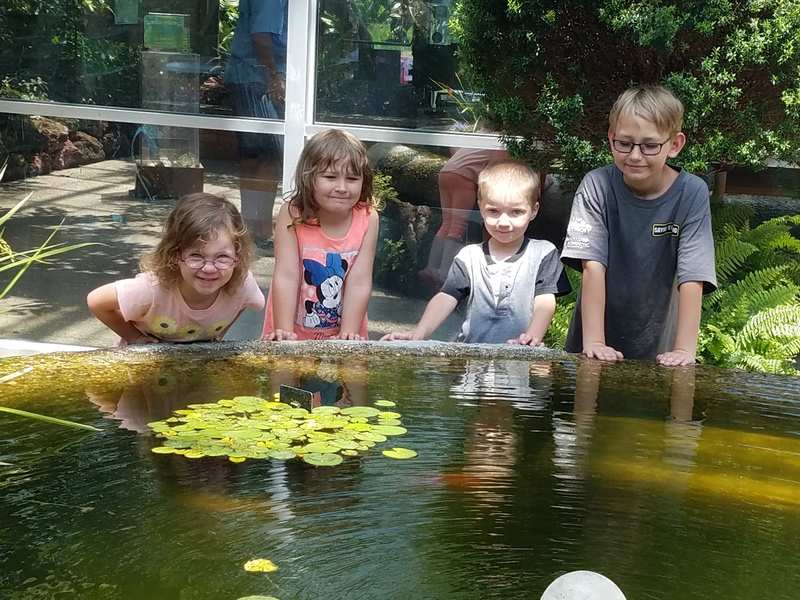 We had a wonderful time that included a comfortable silence while concentrating, laughing and a little weeping. All three of my friends here today have lost their mother during 2010. Hearts are raw, memories are treasured…. and all of us have our moments. 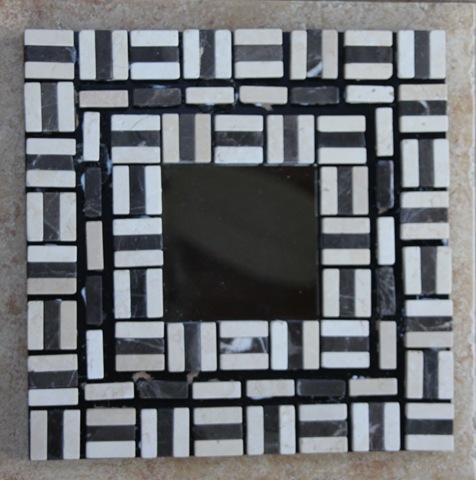 a grid pattern….maybe 2011 will be the year of the grid in all its variations. A basket weave pattern is a grid….this one is off kilter. That does happen. Off a little, but still balanced. A place to start. 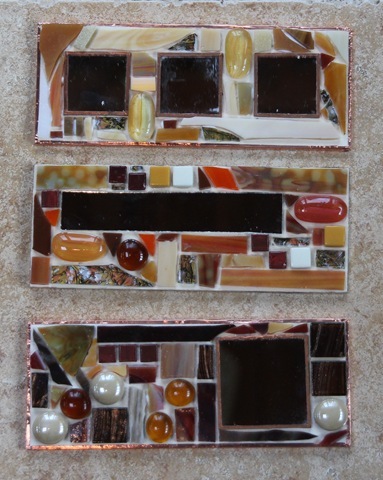 Jackie’s, Lisa’s, Kelly’s and Laurie’s works in progress too….. 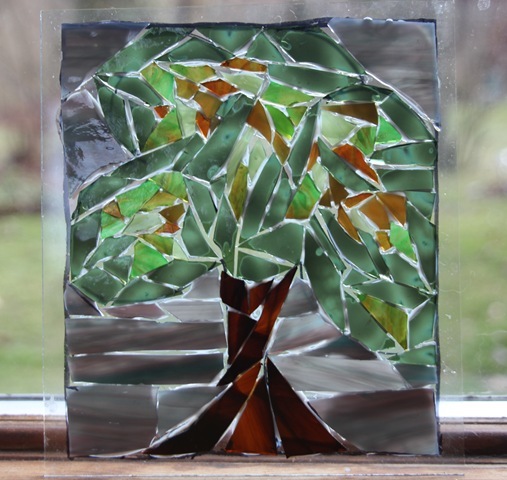 I have heard that what you do on January 1st is a good indicator of what your year will be like….If my year is filled with lots of mosaics, family and friends, and thrift store shopping too….I have much to look forward to in 2011. 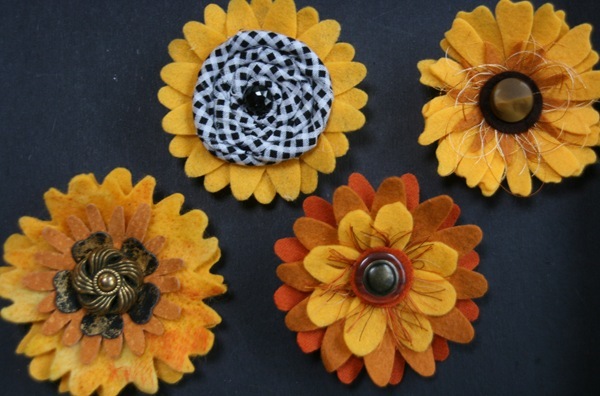 Thinking sunflowers, brown-eyed susans, and chrysanthemums…. and a request for yellow….. The flower on the lower left is needlefelted with fibers and scraps of netting….perhaps there will be more of this texturizing going on. Also tried a new coiling technique to create the center of the upper left sunflower. These are going to Art Is In Market today. I’m doing pretty good these past two days, thank you. Yesterday I actually ate about 500 calories, today about 700, so far. Inch by inch. Plus lots of water sipping. I’m haven’t much umph yet, not feeling very ambitious. Wednesday, Patt and I mosaiced for a few hours! Oh did that do me some good. I can’t wait to show you what Patt is making….but it must wait until she’s done….which could be a while…this is a big project! 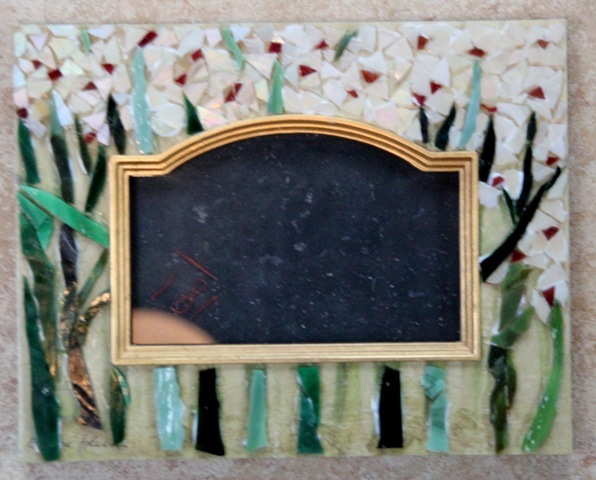 I will show you the mosaics I started, tomorrow. Another good, easy, no-thinking-required project is knitting. And after seeing this(instructions included, thank you Kat), I wanted to try it for myself. I had some recycled silk sari yarn waiting for just the right project…. Bad photo…but you get the idea. 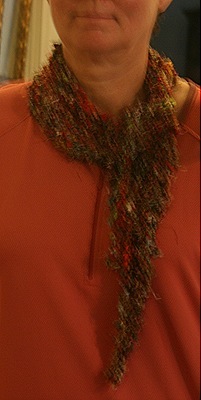 Its like a pet, draped about my neck….will be fun to wear this winter. I probably should have used larger needles for this weight of yarn. Kat used fabulous beaded yarn, quite lightweight. That worked really really well with the size 11 needles. I have to say that the sari yarn is beautiful, and I just found out here, that it is hand spun on a drop spindle. 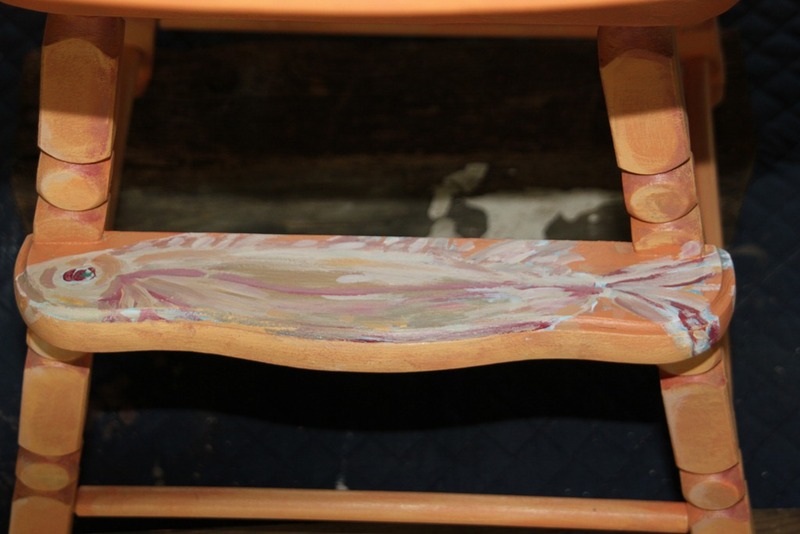 Its soft, colorful, and scrappy primitive….you will even find little twigs spun into it every so often….why, I don’t know(must be part of the process.) 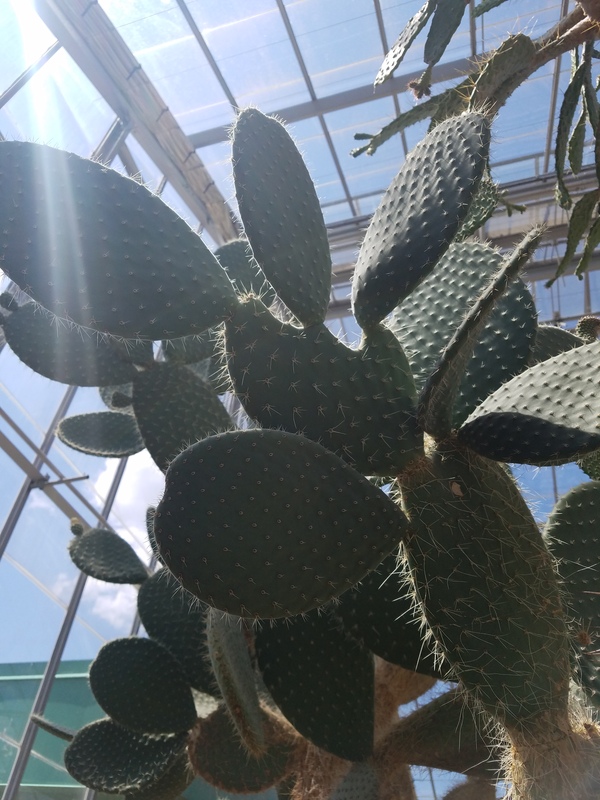 Its cool stuff….what have you made out of it? 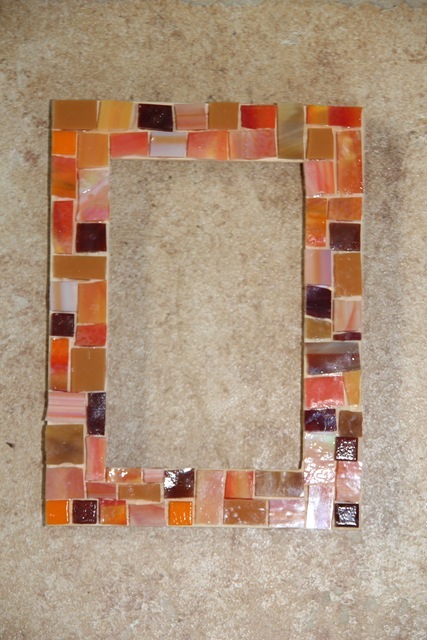 Not sure what I’m going to do with it….probably finish it off as a wall hanging. It started with the base fabric that had the green dye brush marks already on. 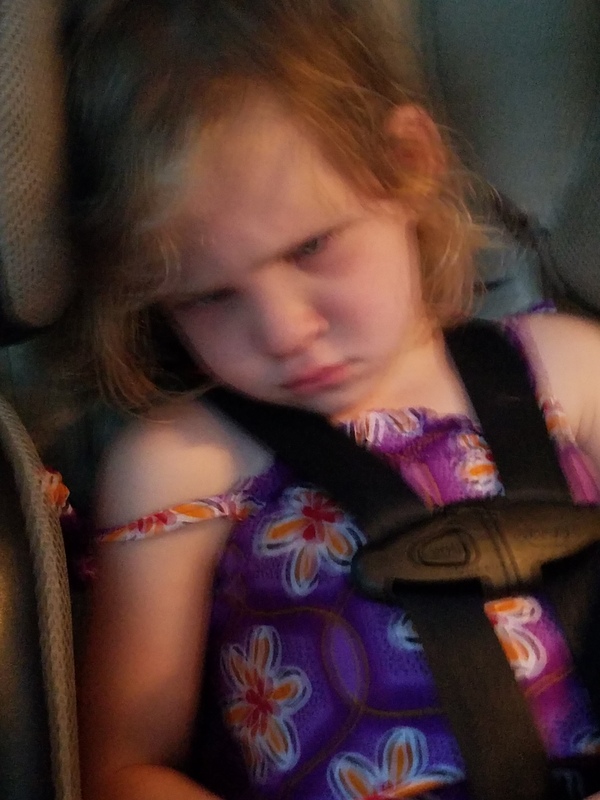 Then, I don’t know…..the rest just sort of happened. 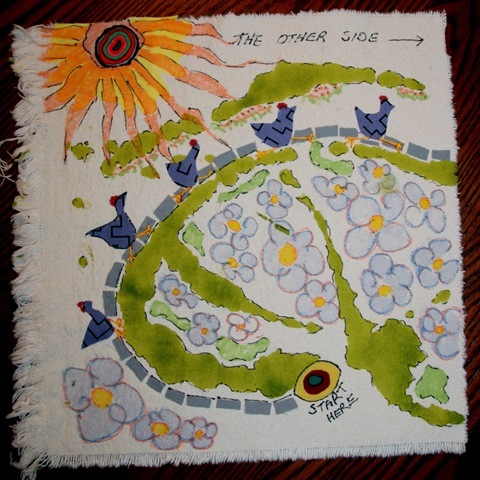 I want to do more like this….maybe not quite so silly, but telling a story in stitch is very satisfying. 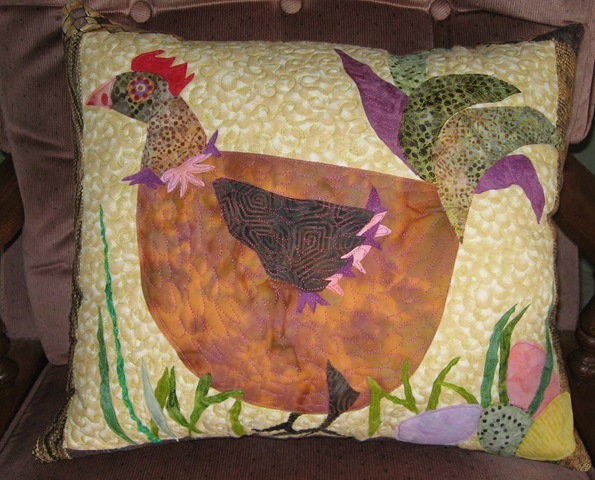 Here is Kat’s wonderful chicken….hers is completely finished into a pillow…. 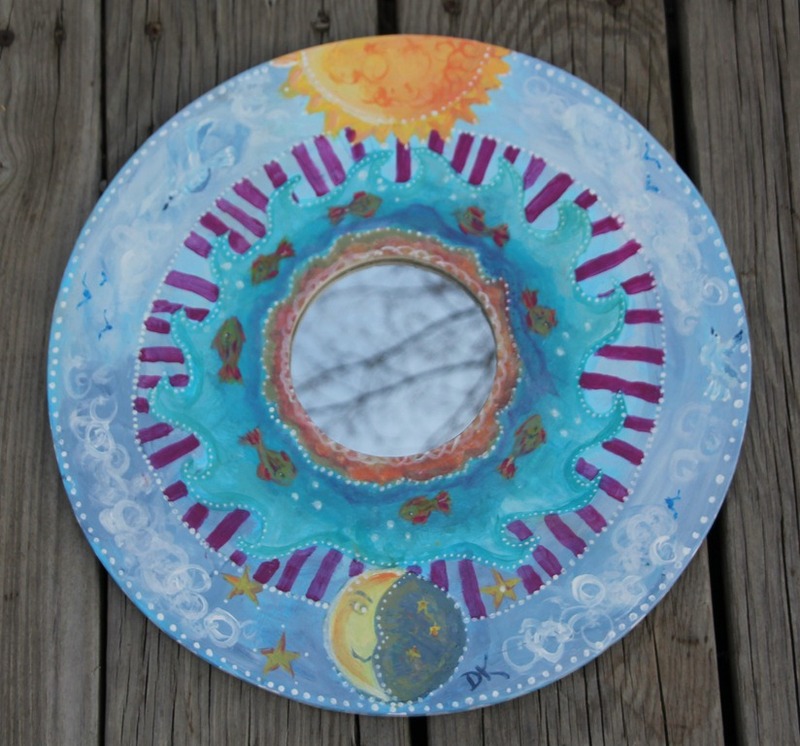 Anyone want to join in on the 2010 Fiberart Challenge? This is a personal challenge and in no way a competition….just a chance to stretch our creative muscle! I think I will start announcing the parameters when we choose them in hopes that a few of you will join in.